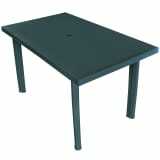 A good quality garden table is a must-have for any garden. Especially when summer comes along, and you can’t help but want to spend more time outside. And that’s exactly where our comfortable outdoor furniture comes in, including our range of cheap garden tables. It’s the perfect for a lovely al fresco meal, or to simply enjoy the sunshine. It’s also very convenient for a garden party! 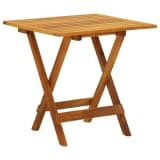 At vidaXL, you’ll find a wonderful selection of garden tables. 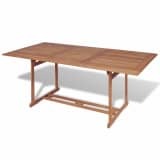 It’s not just for people with room to spare in their spacious garden either, because we have the perfect outdoor table for a small city garden or balcony as well. 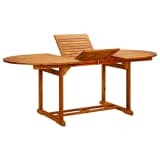 All our outdoor furniture comes in various styles, so you can put a personal twist on the outside décor as well. If you’re not looking for a complete outdoor furniture set, vidaXL is the place to go for a separate garden table or separate garden chairs. You’re free to mix and match, creating your own unique set. 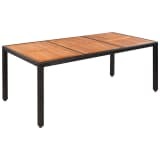 vidaXL tables come in various materials and styles. A concrete table, for example, will look great in a modern, geometric garden. 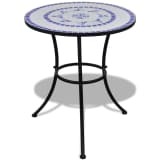 A round mosaic table, either with or without matching chairs, will add a romantic touch to your garden. In other words, the garden furniture you choose influences the atmosphere in your garden. 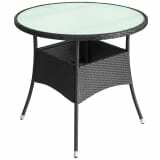 Other popular materials for garden tables are rattan and wood. 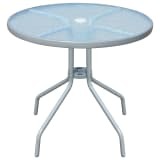 Whether you’re looking for a rectangular, square or round garden table, vidaXL has just what you’re looking for. 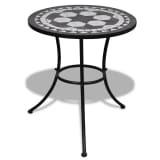 A round outdoor table is ideal for when you want to socialise with everyone at the table. Combine tables of any shape with garden chairs in a corresponding – or contrasting! – style. 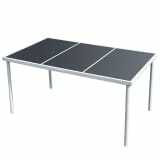 All vidaXL tables come at our signature low prices. And to top it all off, your shipping is free, no matter the size of you purchase. Garden tables are useful in all kinds of situations. 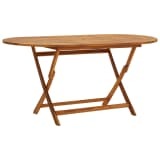 You can’t go on a camping trip without a table, for instance. That is why vidaXL offers special outdoor tables that are perfect for true outdoorsmen (and women!). 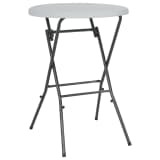 The tables are lightweight, foldable, and their height is adjustable, which means they’re very easy to pack. We also have garden tables for people with a little less room to spare. Our balcony tables can be attached to the balcony’s railing, and can be folded away when not in use.